This is F Huq. 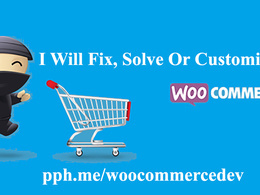 I am a professional Woo-Commerce developer having more than 6 years of web development experience. I provides complete solution for eCommerce development as well as website development. I am very flexible on working to fulfill client's need. I believe in honesty, integrity and smart working. I will be very glad if we can have a pre sales discussion about your project. If you have any project relevant to my skill sets, just contact with me. I am able prove top notch service & communication experience. 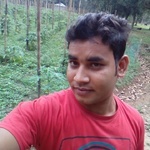 Very Knowledgeable WordPress Developer. Recommended. This guy took on the order saying can do then for hours did nothing then after waiting and saying will be 2-3 hours he says (Sorry, Facing Trouble With Completing this order. Please cancel this) this guy is not good for website design and also can not complete orders as asked. Anyone wanting website work on Woo-Commerce or magento i would say stay away from this guy and not use unless you want no website left after he has done. He has broken my site as he is not a good designer as you see in his portfolio he has completed only 5.5 hour course so is in-competent to do the job and therefor should not be on this site. SAY STAY WELL AWAY UNLESS WANT NO SITE LEFT.